Working on something new or different that will add value to your food and drink business? Innovation keeps Scotland's food and drink industry at the forefront of consumer trends. Whether it involves product development, your processes or employees, we can help you explore your ideas and develop them all the way through to market. 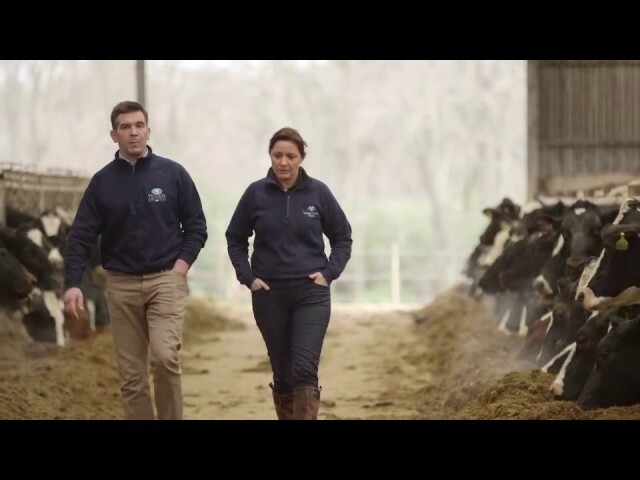 Watch our video with Jackie McCreery, director, Yester Farm Dairies, on the importance of innovation for food and drink businesses. We've teamed up with Scotland Food and Drink and Highlands and Islands Enterprise to bring together voices from across industry, academia and the public sector to deliver the Make Innovation Happen service - your single point of contact for support to grow. Our 'connectors' are people who know about the range of innovation support available and can help you tap into the right support for your business. All businesses across the food and drink supply chain can benefit from the new Make Innovation Happen service. Meet our Make Innovation Happen 'connectors' who'll help you tap in to an array of available support and guide you through your innovation journey. Caroline MacLellan - As part of HIE’s innovation team, Caroline works to help food and drink businesses achieve their growth and innovation ambitions. Paul Copland - With extensive knowledge of government innovation and R&D grant funding mechanisms, Paul focuses on innovation product development, helping identify and explore new opportunities. Rachel Mirfattahi - As Sector Engagement Executive at Interface and member of the Institute of Food Science and Technology, Rachel works to upskill Scottish food and drink SMEs. When businesses innovate, they are twice as likely to grow and three times as likely to export. Highlands and Islands Enterprise and Scottish Enterprise are investing £650,000 into a new Food and Drink Collaborative Innovation Fund. The fund is for groups of businesses within Scotland's food and drink supply chain - with a focus on small to medium sized enterprises (SMEs). Larger companies may be part of the collaboration but should have at least one SME in their project. The aim of the fund is to encourage a culture of collaborative innovation by addressing key food and drink opportunities or challenges. Looking to innovate your food and drink business? Ask about our support to help you succeed.